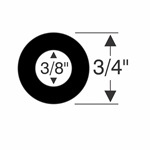 Protecting you and your boat while boating - that's the job of drip rails, rub rails and insert trim. 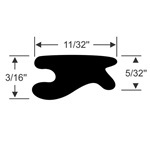 Our boat parts are made of high-quality, weather and UV resistant EPDM rubber. 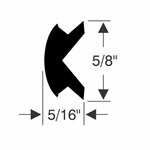 This means years of precise fit and durable function that is easy to install. 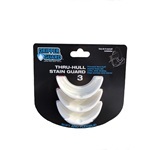 Award winning Dripper Guard: THE solution to preventing through-hull stains! 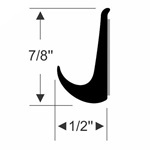 Drip rail seals are idea to divert water away from doors and windows. 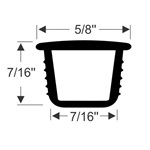 Easy to install, screw covers and insert trim are designed to provide a finished look. 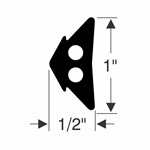 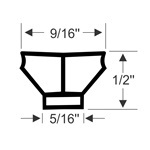 Rub rail insert that fits many popular fishing and leisure-craft boats! 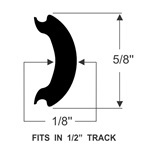 Now available by the foot and in 50' and 70' pre-cut lengths! 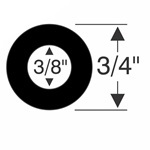 Easy to install, round EPDM rubber, Rub Rail Insert Trim repair kit. 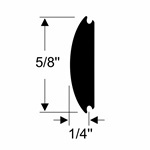 Rub rail insert that fits many popular fishing and leisure-craft boats! 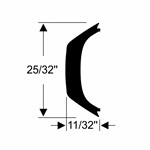 Now available in 50', 70' and 250’ pre-cut lengths! 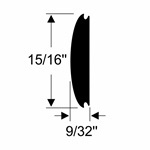 Rub rail insert that fits many popular fishing and leisure-craft boats! 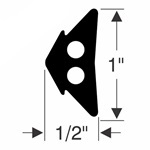 Now available in 50', 70' and 200' pre-cut lengths! 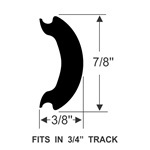 Easy to install, EPDM flexible insert rubber, Rub Rail Insert Trim repair kit. 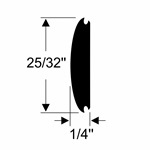 Rub rail insert that fits many popular fishing and leisure-craft boats! 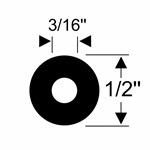 Now available in 50' and 250' pre-cut lengths!